NGCC News Fall 2017: Time to “Fall” in Love With Jesus! As summer comes to an end it is time to Fall in love with Jesus! We will begin a new sermon series, “Living For Jesus”. We will be doing a deep study of John 15. My prayer is our relationship with Jesus will soar to a level we have never experienced before. Abiding in Jesus will set us free from sin to live for Jesus. It is time for the church to live for Jesus! Join us every first Sunday of the month at 6pm for our new Fresh Encounters with Jesus Prayer Service. Discipleship, Teach, Develop! I talk to God a lot. I thank Him a lot. But am I truly thankful and gracious? I am excited about the Bridge Group on Sunday, the Wednesday night study, and the home study group that Barry and Sharon are starting. I am excited about another potential study group starting in the Fall, but am I truly thankful? What is leading me to this question? The other day, I was honored to come to one of Burmese employees home and with a translator answer their concerns pertaining to work. When I arrived I met his wife, played with the three babies, as he called them. Their home was meager and simple. They do not have a lot of technological things.They didn’t have a lot of furniture. But, before me, on a small table, he and his wife laid out a bounty of fruit, meats, and drink. His wife was extremely gracious and kind. His children were well disciplined. He was all smiles and they were happy. He is a proud poppa. The translator stated, “it was their very best honor to have me in their home.” He actually could not believe his boss would come to his home and speak with him after hours, outside of work. I was humbled that evening simply by the simplicity and graciousness of that family. God taught me a leadership lesson that night. All people are made by Him and deserve absolute Godly respect. I was the one discipled that evening and never felt more led by the spirit than in that instance. Being a leader is not always about the leader, it also is remembering the ones you are leading in and out of church. Mr. John cried that evening out of shame and joy. I thank God for their ability to teach me, even though they have no clue what they did. Imagine our church, with that simplicity and happiness… Priceless!!! As our church grows, the opportunities to help increase. If you want help with finding a place to get involved, let me know! I will be happy to help you. Are you looking to become a member of the North Glen family? Sign up sheets are available in the hall at church. Please welcome Lena Lowry as our interim Children’s Ministry Leader. Lena will be supported by Barry and Sharon Mager. 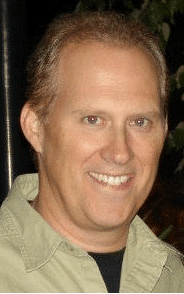 Thank you, Eric Myers for the time you served as children’s ministry leader. May God bless you in your new endeavors. Lena is excited about the possibilities and has many plans including updating the children’s area with fresh paint and decorations, adding craft and music into the children’s church time. She will also be overseeeing nursery to make it more amenable to mom’s and their babies and toddlers. Other changes are forth coming. It is an exciting time for children’s ministry! Recent children’s events included the backpack give away and party. The children’s ministry needs volunteers to teach and assist, even if it is just one Sunday a month. Training will be provided! Please see Lena if you are able to help with this ministry. At our last meeting we discussed ideas on how to get more ladies to become part of the ministry. We also discussed unity with our ladies using the Bible verses: Psalm 133:1; 1 Peter 3:8-9; Ephesians 4:1-3. On October 7th, have a pot luck dinner at church, prayer, movie or games. ‘Christmas Fling’ December 3-4 (first Sunday through Monday), at Sandy Cove for $90. Covers two meals and lodging at Chesapeake Lodge. Rooms open at 4pm. Francis Dross is the guest speaker. Overnight Spring Retreat on March 15-16, 2018 (Thursday through Friday). Guest speak is Allison Speer. Cost of $89 to cover two meals and programs. Also, Christmas Caroling in December. We also discussed sending out Miss You and Get Well cards to ladies of the church. Kim Granger has volunteered to help with this. Our next Meeting will be held on 9/17. Please see me for more details! There is a fresh start to our Men’s Ministry this fall season. With many new men now attending our church, we are seeking to connect with all men in the church. Our purpose is to encourage one another in our Christian faith and to grow together in our spiritual walk with God. We want to unite the NGCC men as we serve within the church and also to expand our out-reach to the community to those who also need Jesus Christ in their lives. We are in the planning stages for some events and programs which will include Prayer Breakfasts, Small Group Studies, Fellowship Events, Ministry Opportunities, Christian Men’s conferences and more. As brothers in Christ and for others who are seeking the Lord for the first time in their lives, we will commit to praying for one another and challenge each other to pursue a stronger connection with Jesus. With God’s help we have been able to upgrade our sound system. We have come along way in a short time. Some of you will understand, some may not. But, we are trying to give God and all of you our best in worship and sound. Unfortunately, with the size of our room and it being a block building it is a a difficult challenge for Keith, our sound man. Just as we get the mix right, the volume is too loud, or the volume is right and the mix is wrong. I am currently looking into some sound panels to help keep the sound from bouncing around the building. It is always a challenge, but with the cooperation of our worship team and our sound man, we are one step closer to being the best we can be. This is always our goal: to give God our best. When we do that, it helps Pastor Paul and it helps all of you to feel the Holy Spirit and get involved with worship and believe me, there is no greater feeling. I strive for that every week and unfortunately I fall short sometimes. My goal is not just for me but for each of you, too. Please keep the praise band and sound man in prayer, as well as Pastor Paul, and our church. We are truly blessed and if you would like to get involved in any of our ministries, please get in touch with Tony Foca, Pastor Paul or me. Thank you all for your support and your prayers. Be blessed and remember God is with us through the good and the bad. If you have a problem, leave it at the church and move on. You will feel much better! Every first Wednesday of the month we have our prayer meeting at 6:30pm. Please join us! If you would like to be part of the ministry team that maintains our church grounds, we would LOVE to have you join us! Contact me for details. Please remember to give for the Benevolent offering the first Sunday of each month — October 1st and November 5th and December 3rd coming up — all funds given go directly to help the members of our church when needed. Our Homeless Ministry meets every 1st Saturday of the month at 9am. Vicky leads each of our volunteers as they reach out to the homeless in the Glen Burnie and Baltimore areas. Once again NGCC will team up to house 20 men for a week, Monday to Monday (October 16-23), for the Winter Relief Program. The men will sleep at our church each night. They will have dinner, snacks, and fellowship. Also, lunch will be provided for the men. A driver is needed each evening and morning for transportation. We will need a lot of help to make this a success. Also, we will need a few men (men only) to be willing to spend the night (awake) at the church with the men. We will have a sign up sheet at the church for anyone that is able to help. Donations of food items are needed. Some items that will be needed are coffee supplies, snack items, dinners (menus are being discussed), lunch items, cereal, milk,etc. Please pray for this great opportunity that we will have to serve these men. Our Special Needs Ministry is a real blessing as we meet each Sunday at 10am for a Bible study. We could always use an extra pair of hands if anyone is interested in being a substitute teacher. Please see me for more information! Meet with us at North Glen for a NA meeting every Thursday at 7:00 pm. Join us – everyone is welcome! We are very excited about the growth in the attendance at the coffee house that reaches the community. This ministry is an opportunity to bring those who may not enter a church on Sunday to see that Christians can have a good time in the Lord with a variety of styles of Christian music. In October, it will be a year when we started children’s entertainment upstairs providing snacks, watching movies, hearing a Bible story, and playing games as the adults are able to enjoy the music downstairs. Ms. Lena Lowry has taken over this ministry for school-aged children. See above under Ministry Needs if you are interested in serving and meet the requirements. Coffee House is asking for your support to our community with this Outreach monthly event. Donations for food are specified on our church bulletin board, to help offset the cost of the coffee house. Before the concert at 7pm, we have a need for individuals to help serve the community behind the food table. Individuals can also arrive between 6 and 7pm to prepare the kitchen area to start serving at 7pm. Let us show the hands and feet of Jesus to those who walk through our doors and maybe the first time inside a church building. On September 16, Messenger will return for their second time but for a full night from 8-10pm. Doors open each Coffee House at 7pm when food is served. Messenger will be performing songs from their three CDs and selling merchandise. This band is Christian Rock with a great message. We try to reach all tastes! On October 21st, an all time favorite, Full Gospel Boogie Band, will be returning to the coffee house and also selling merchandise. 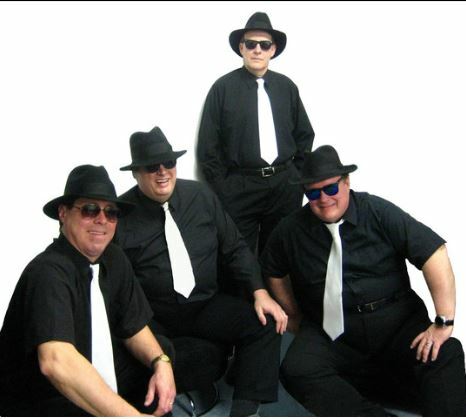 Don’t forget to dress like the Blues Brothers! Visit the coffee house site for more information, see pictures of the band, and to pass the word to friends. Visit their website at https://www.fullgospelboogieband.com/home . 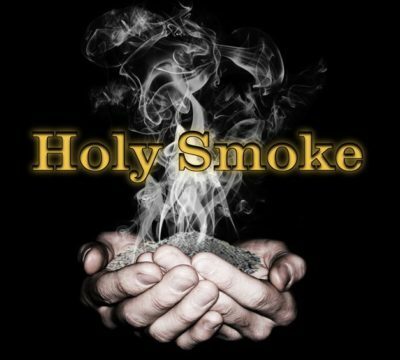 On November 18th, our Pastor of Worship’s band, Holy Smoke, will be performing and also selling merchandise. For more information on this band, visit http://www.holysmokeband.com. Visit the coffee house Facebook page at SNLCoffeeHouse for pictures from previous months or go to youtube.com and search for SNLCoffeeHouse to view videos of past and upcoming concerts and videos.